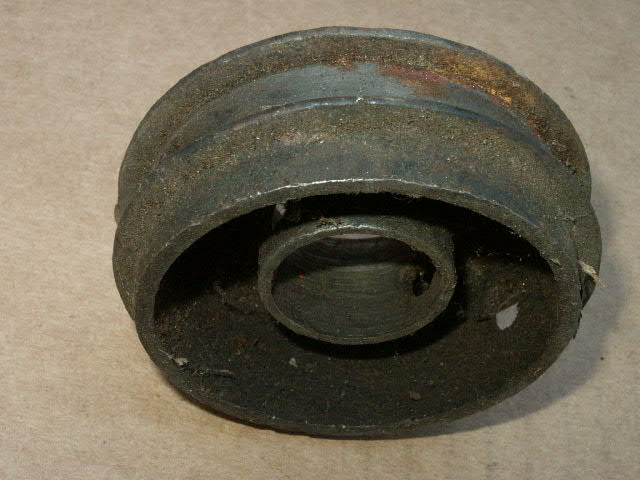 Model T Ford Forum: Front Pulley What Do I Have? Front Pulley What Do I Have? 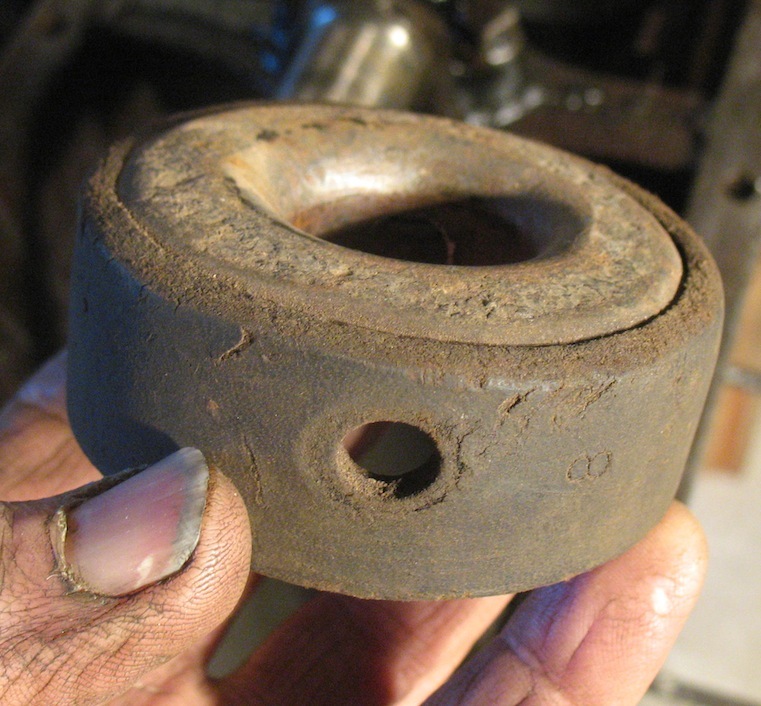 Model T Ford Forum: Forum 2014: Front Pulley What Do I Have? 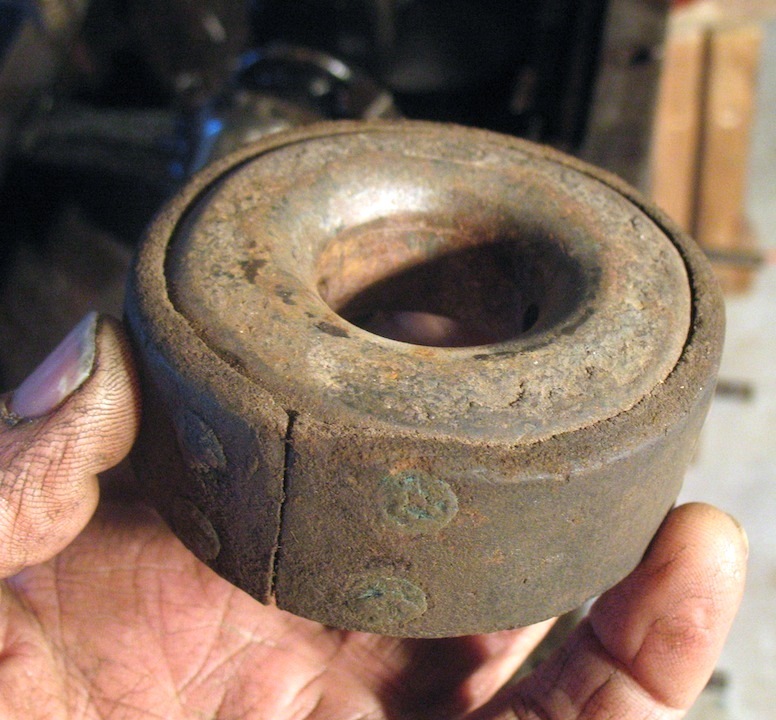 I finally got to the crank pulley rattle and this is what I have. Anyone seen one like this? I have three other motors sitting in the shop and none of them have a pulley like this. Also it had a solid pin. The other motors have roll pins. Ideas? Those are aftermarket .I have a couple of them and like them. The solid pin is stock. Is that last one some sort of home grown creation to get a little more RPM out of the fan? Why replace it....there must be a number of ways to tighten it up. I think it is worth saving. 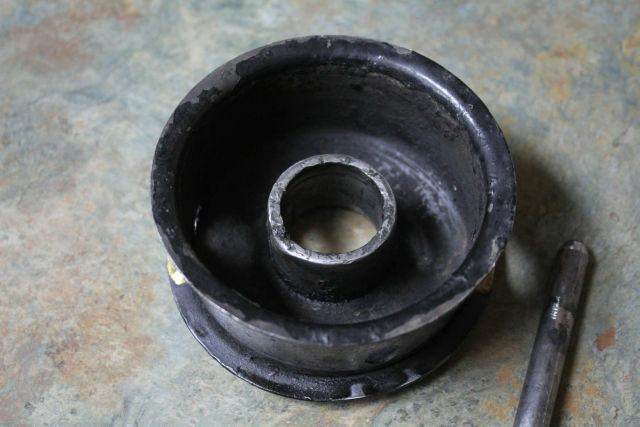 Get an original pulley and rebuild it. 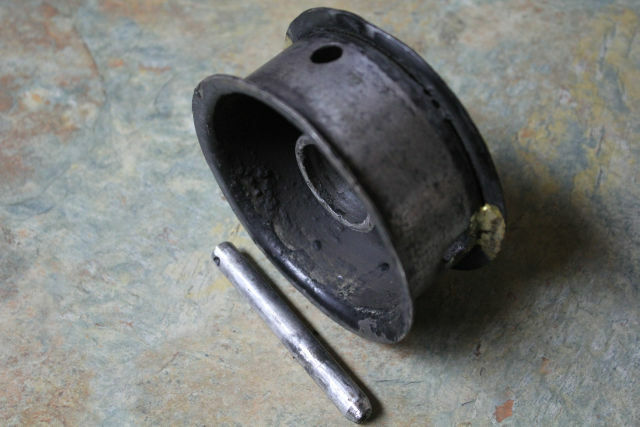 You don't need flanges at all, if you have a good crown. That one looks like pressed steel, it is way to thin to do any thing with. The belt crown is way past any good use at all also, and I would also think the crank is also wore to a smaller then standard size, and some taper. 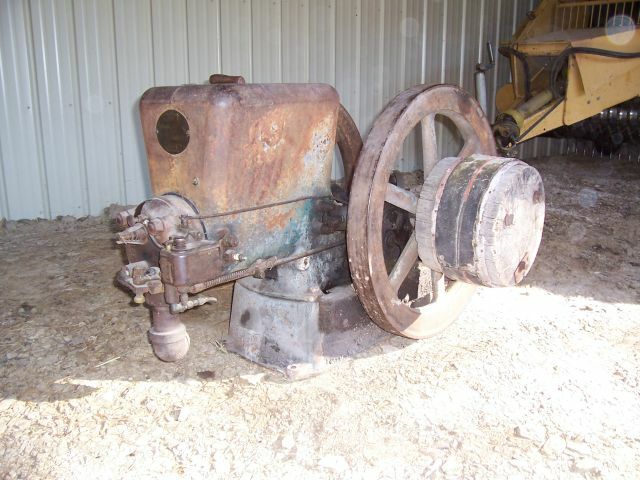 Pat -- You can get a new one from the vendors which is split and has a set screw to tighten it down on a worn crankshaft. Someone even tried a narrow belt and needed flanges to keep it on! Nothing works as well as the original setup.